I’ll be appearing twice this month as a guest lecturer. The first, I’ll be appearing at CSULB, at the top of the FA4 building at 6pm this Friday, the 13th of October, to discuss Illustration along with my wife, Mai Kemble who will also talk about illustrating for kids books. It should be fun, and is a free event. If you’re in long beach, check it out! We were forced to push back the date from last Friday due to a flat tire on our car, but we’ll be sure to rock it this time! 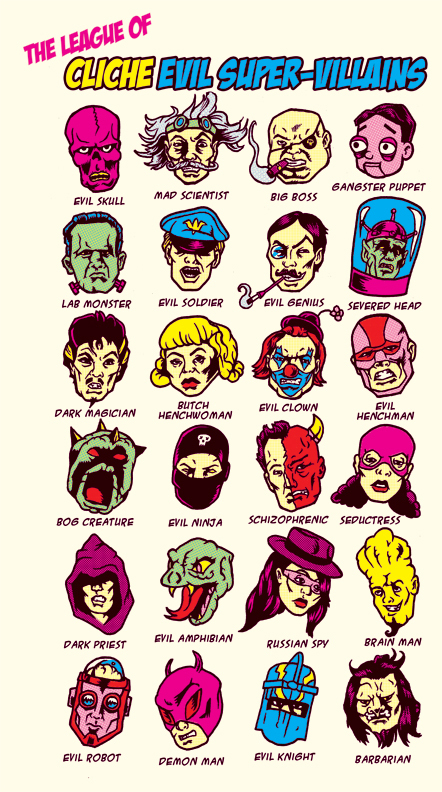 The League of Cliché Evil Super-Villains Reprinted! Ladies and gents, with your kind help requesting reprints of my Threadless design “The League of Cliché Evil Super-Villains” has been reprinted, and is available for sale on Threadless! 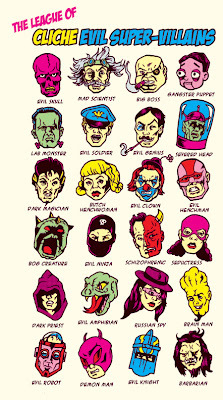 You can purchase a copy here: http://www.threadless.com/product/1107/The_League_of_Cliche_Evil_Super_Villains! 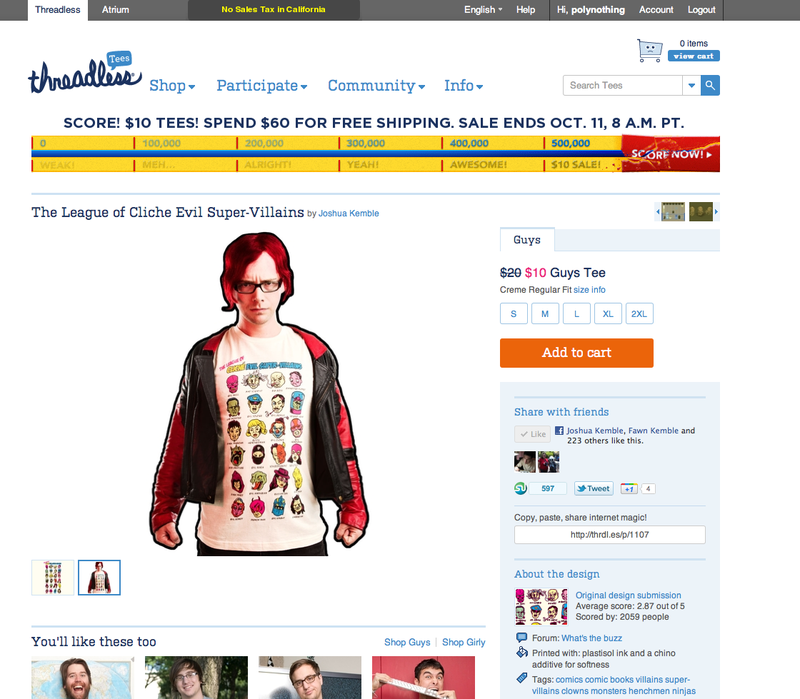 But hurry up and get one before they sell out, these tend to sell out pretty fast! And below the sizing chart, click request a reprint! Lets make this happen!